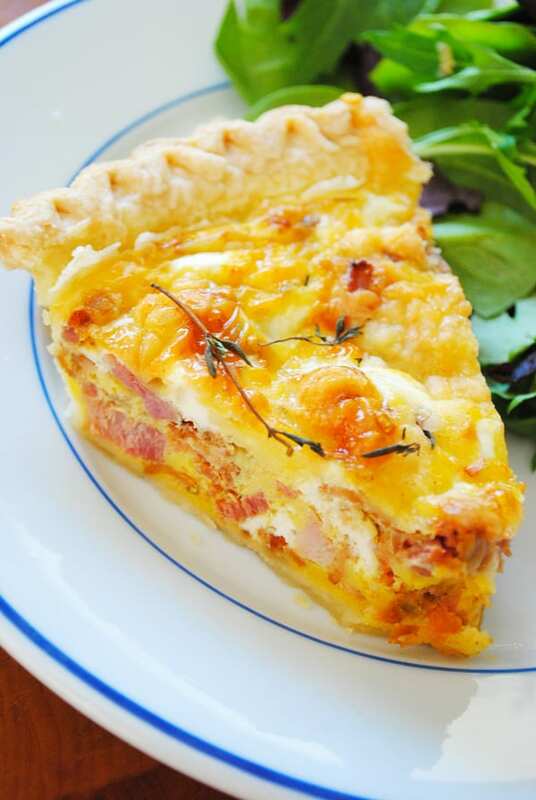 Whether for breakfast or dinner this Ham & Bacon Quiche is sure to please a crowd. It’s great with coffee in the morning and also perfect with a Simple Arugula Salad and a glass of wine for dinner. 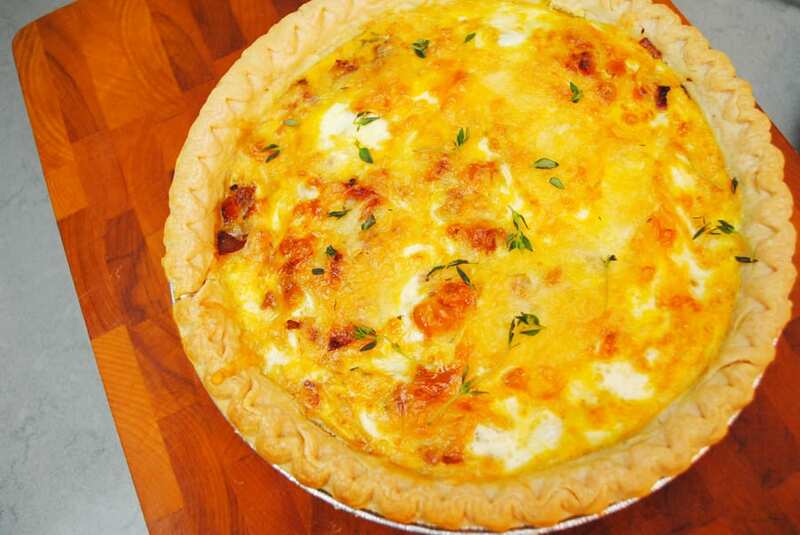 I love to make quiches for dinner. They freeze exceptionally well and are easy to pull out when people are visiting. I usually make two at a time and freeze the second one. I’m not a great crust maker. 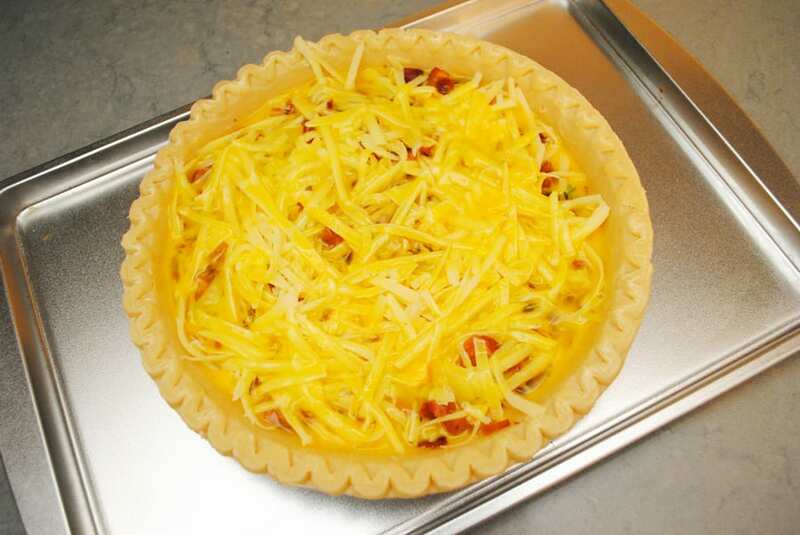 I struggle with single crust recipes so I usually opt for the frozen pie crusts which come in a pack of two in the freezer section. I can make the crust, but have a hard time making it look pretty. 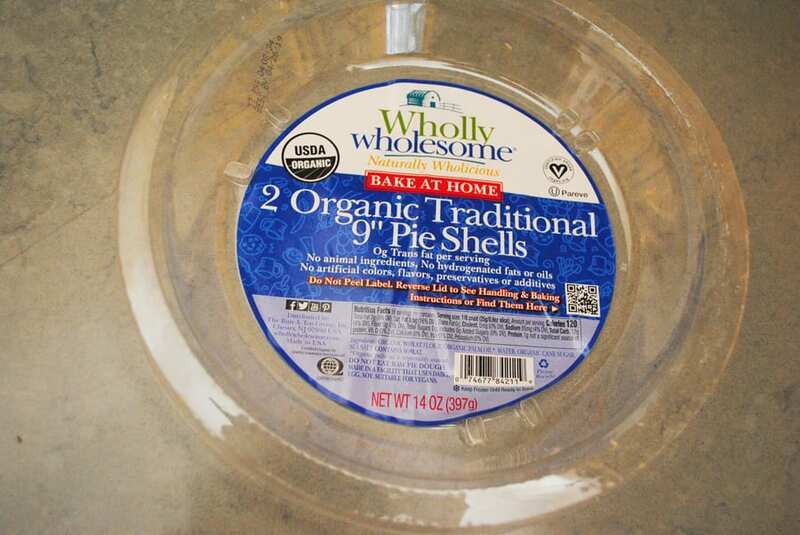 I love this variety from Wholly Wholesome. The crusts are flaky and buttery and taste better than anything I’ve homemade. 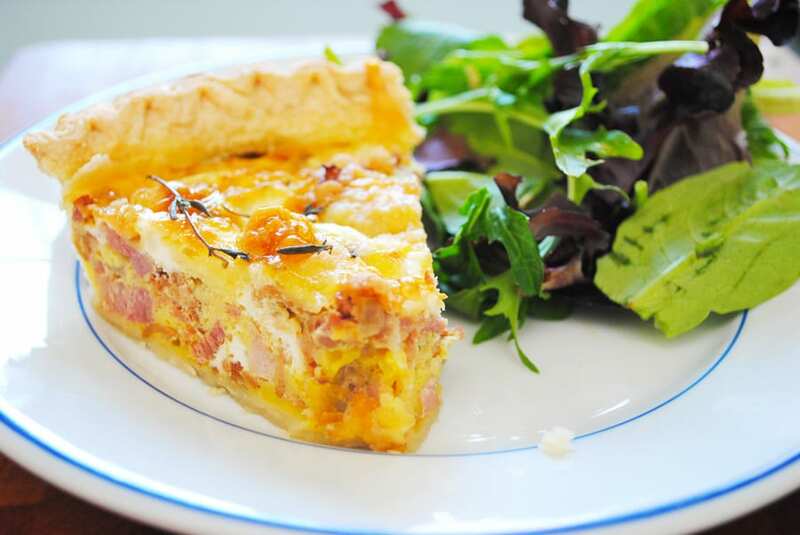 There is a lot of ham in packed into this quiche. A lot of bacon too. I love to use whatever I have left over from my Easy Overnight Ham. You could also use lunch meat ham, but I would opt for a thick cut variety. Over medium heat in a small skillet cook the bacon pieces until nice and brown. 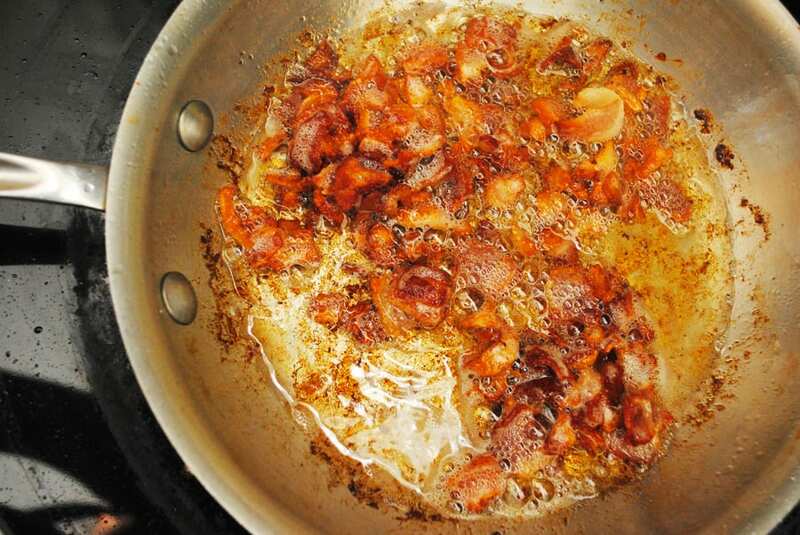 Using a slotted spoon scoop the bacon to a paper towel lined plate and pour out all but 2 tsp bacon fat. Return the skillet to the burner on medium heat and add the onion to the bacon fat. Add in just a pinch of kosher salt. Cook until soft and translucent. About three minutes. Add in the ham and cook for two minutes until the ham just begins to brown. Add the ham and onin mix to the plate with the bacon. 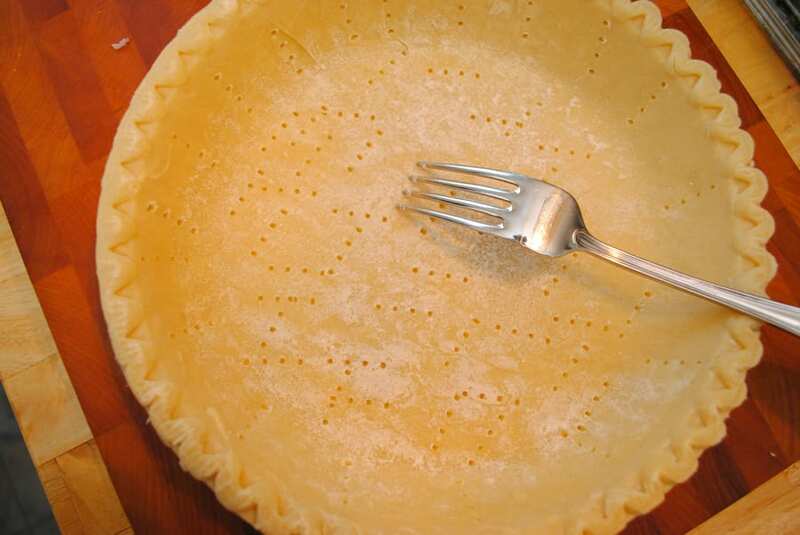 Prick your pie shell with a fork all over to prevent air bubbles forming. 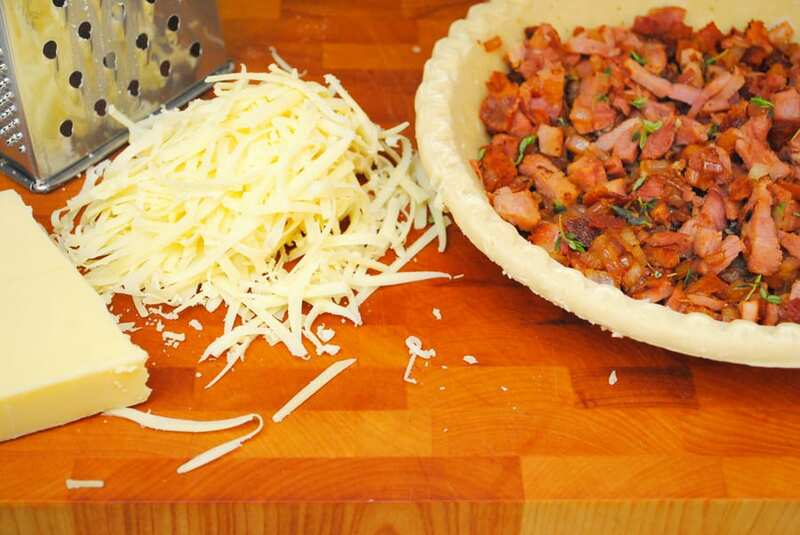 Add in the meat and onion mixture to the bottom of the pie shell. Top the meat with the cheese. 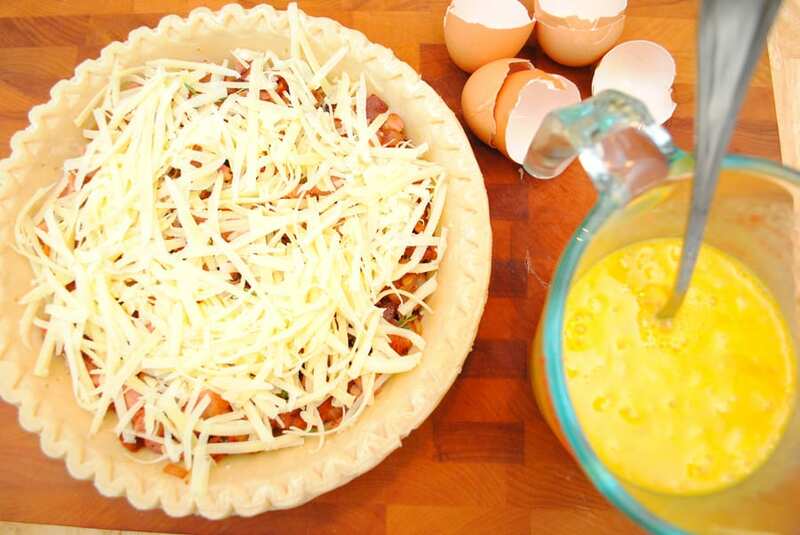 Gently beat the eggs together with the white pepper and half and half. Pour the mixture over the top of the cheese. Bake in a 400 degree oven for 35 minutes. Allow it to sit for five minutes before cutting.